The International Monetary Fund (IMF) has advised the Nigeria government to remove fuel subsidy and direct the money to the provision of social amenities for the country. Christine Lagarde, Managing Director of IMF, gave the advice during a press conference at the ongoing joint annual spring meetings with the World Bank in Washington DC. 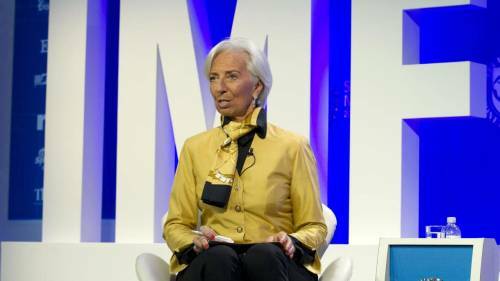 Lagarde stated that with the low revenue the country is generating, removal of fuel subsidy would enable it to have enough funds to provide the social needs of the people. Lagarde said: “I will give you the general principle. For various reasons and as a general principle, we believe that removing fossil fuel subsidies is the right way to go. If you look at our numbers from 2015, it is no less than about $5.2tn that is spent on fuel subsidies and the consequences thereof. And the Fiscal Affairs Department has actually identified how much would have been saved fiscally but also in terms of human lives if there had been the right price on carbon emission as of 2015. Numbers are quite staggering. “I would add as a footnote as far as Nigeria is concerned that, with the low revenue mobilisation that exists in the country in terms of tax to GDP, Nigeria is amongst the lowest. A real effort has to be done in order to maintain a good public finance situation for the country. And in order to direct investment towards health, education, and infrastructure. “If that was to happen, then there would be more public spending available to build hospitals, to build roads, to build schools, and to support education and health for the people." She added that the continuous payment of fuel subsidy could lead to a lack of social protection safety net for the people.